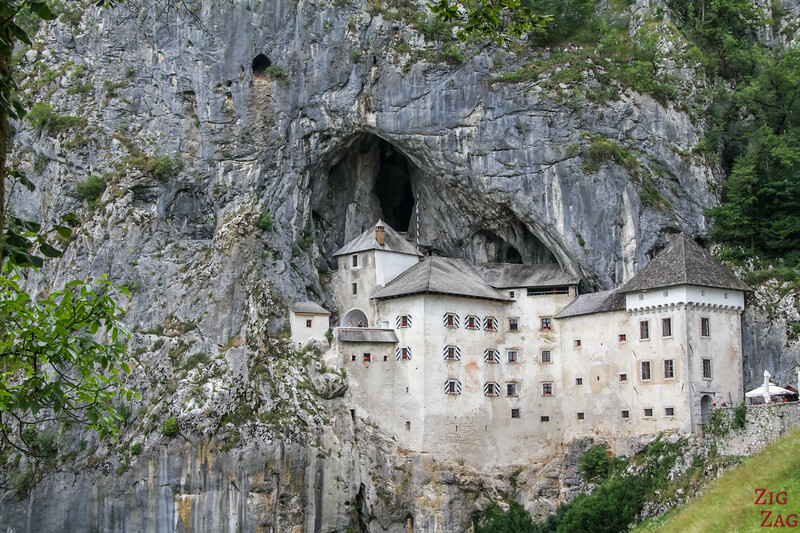 Predjama Castle is the most famous and unique castle in Slovenia. 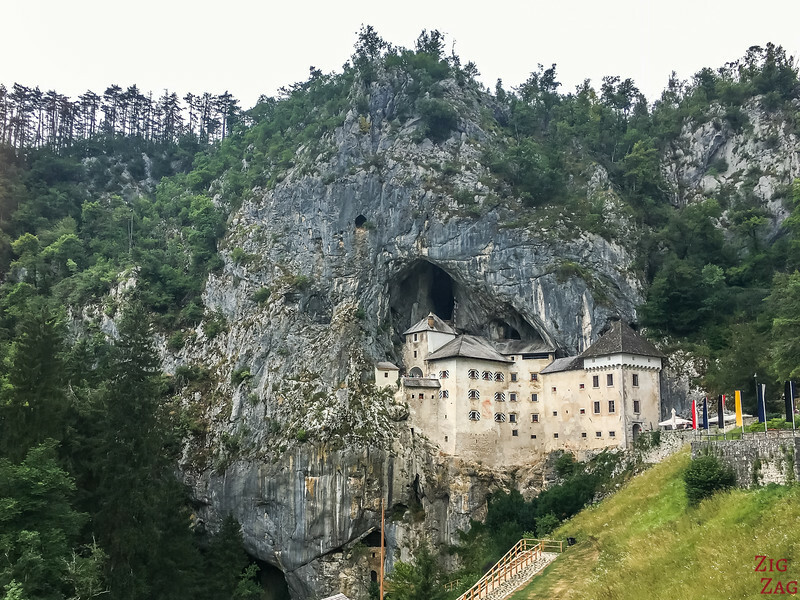 Also known as Slovenia's cave castle or Postojna Castle, it has been built in front of a Karst cave halfway up a 123m cliff. Thanks to its position, it was a proud and impregnable fortress which has remained in good condition allowing us to visit it today. 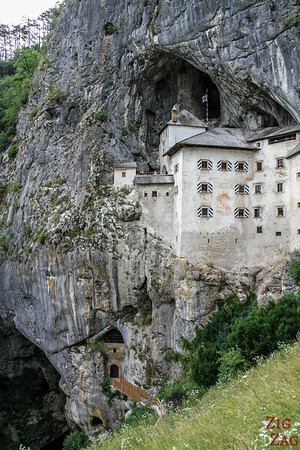 Protection of the "Postojna Castle"
Do you understand why it made it on my list of suggested day trips from Ljubljana? I think a car is great to move around Slovenia and discover its amazing landscapes. To get to the castle you are only 15minutes away from the motorway. Roads are in good conditions. 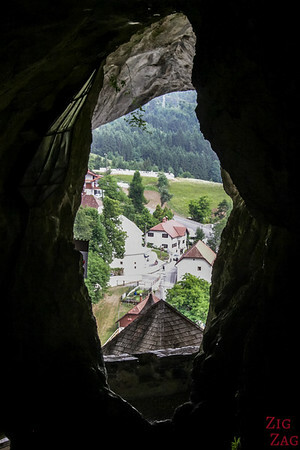 Predjama, along with many other beautiful places, is included in my eBook: The Road Trip Guide-Slovenia. But if you don't want to drive, no worries. 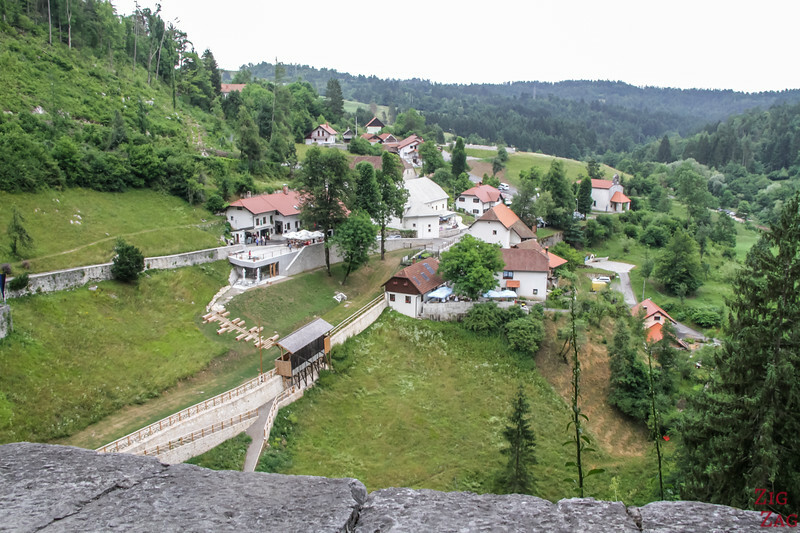 Predjama is a classic is included in day trips combined with the Postojna caves or Skojcan caves. 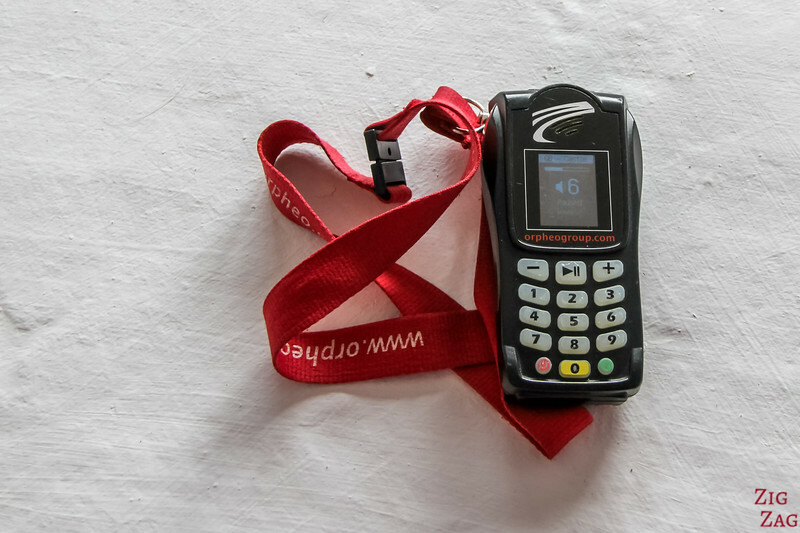 A smooth solution where you get dropped at each location with tickets and all. 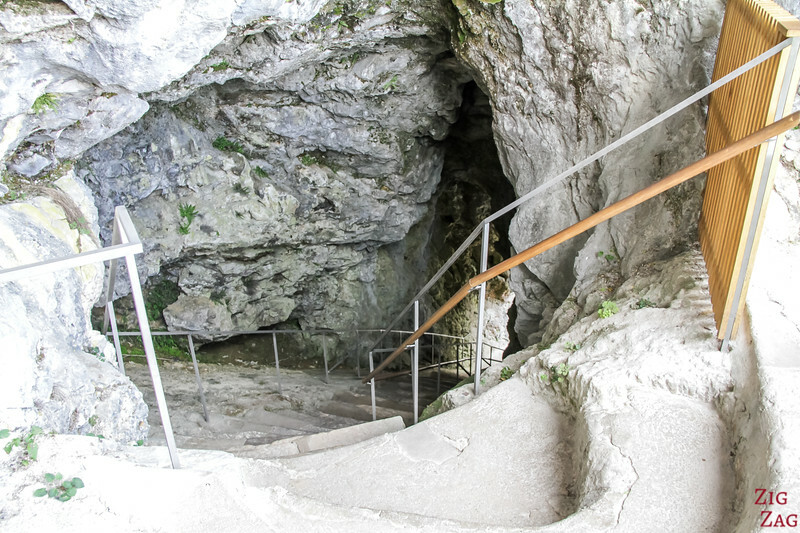 You can combined tickets with entrance to the Postojna and Skocjan caves. But if you want to save money, you don't have to enter, you can admire the castle and its strategic position from the outside for free. Entrance is only at the entrance gate. 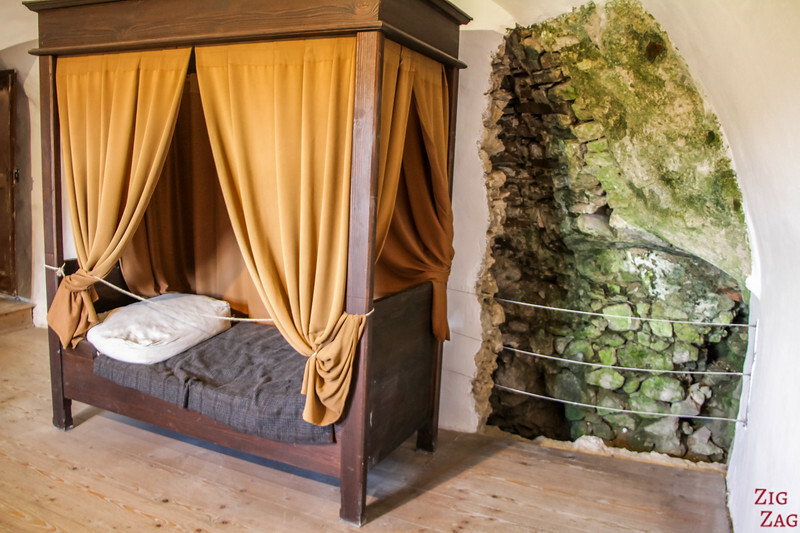 If you choose to visit, the tour includes an audio-guide with explanations about the history and life in the Predjama fort in 15 languages. 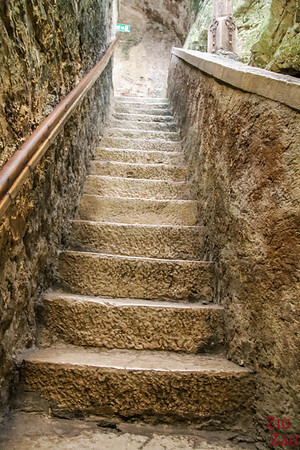 Before deciding to visit the castle or not, be aware that there are lots of steps - I think around 200 with some of them quite high. Once inside it is quite fascinating to discover the combination of rocks and walls. 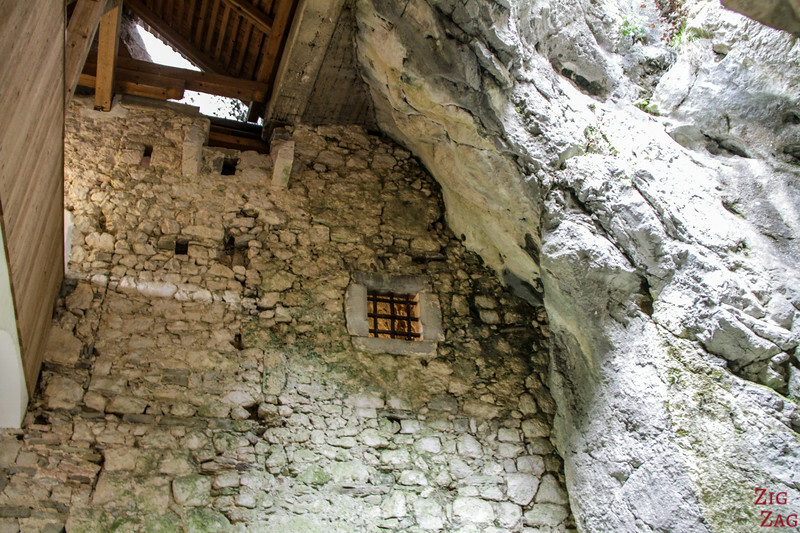 Predjama is an important archeological site. Bronze age stones and roman coins have been found in the caves behind and under the castle. 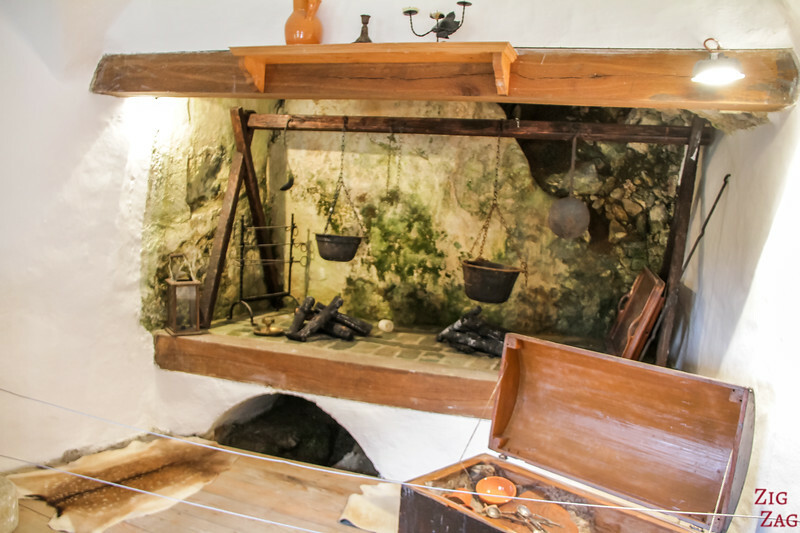 Even quite recently, in 1991, silver dishes were discovered in the floor of the castle cellar during restoration. As you can see above, they were able to collect drinking water from the water dripping along the rock walls! 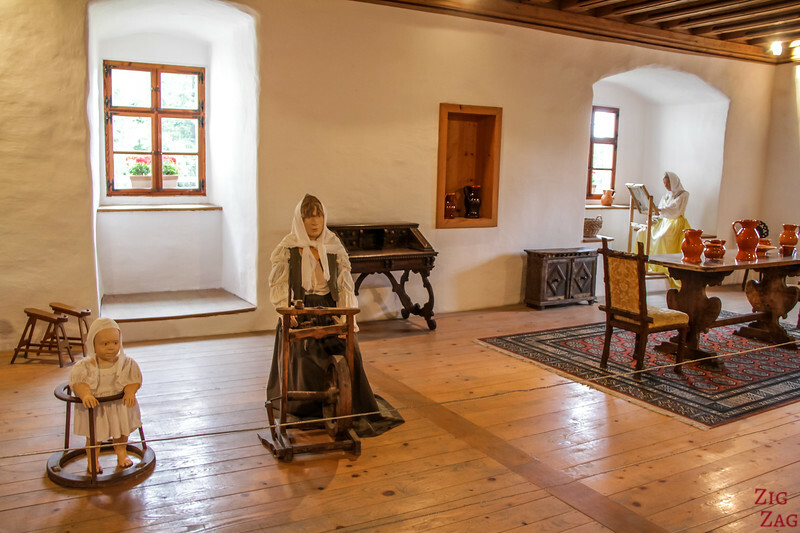 Some of the rooms inside Predjama Castle have furniture and mannequins displaying life as it probably was. 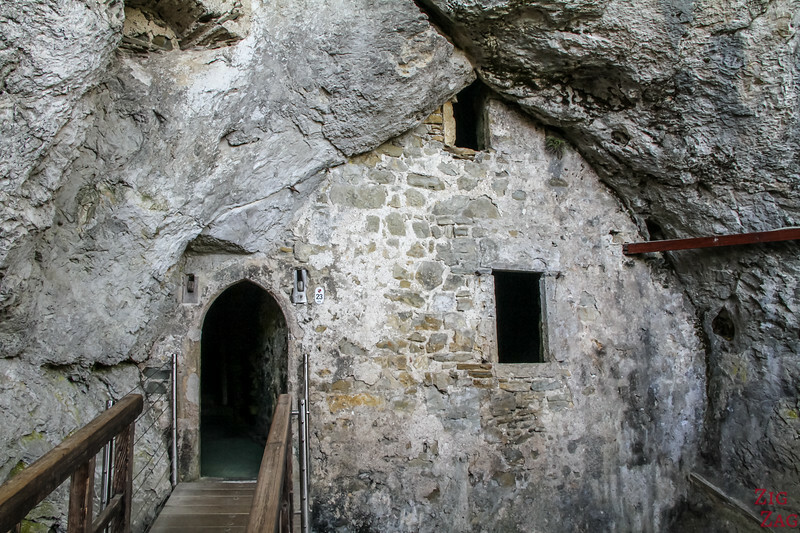 Sorry for the not so good pictures, but there is not much natural light illuminating the Predjama castle interior! 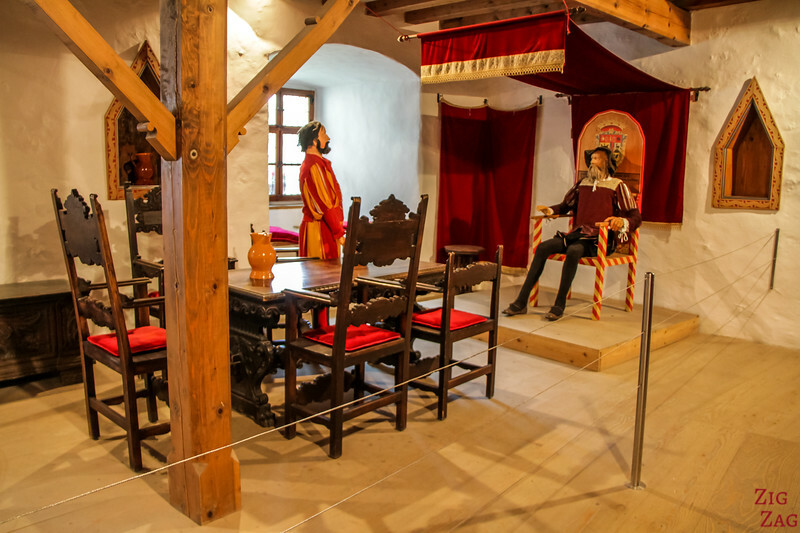 Your first stop is through the castle's courtroom and the torture chamber. The chamber is very dark with a 60m deep chasm, so I do't have any good pictures. 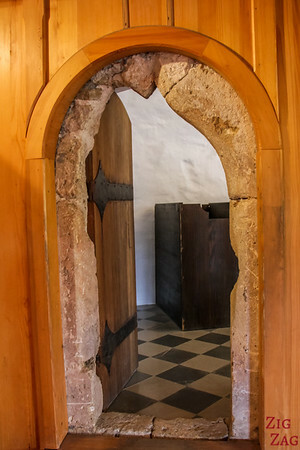 Small windows and thick walls made the environment moist and cold. The Kitchen's fireplace is located under a natural tunnel. There is also a stone sink against the outer wall for draining. 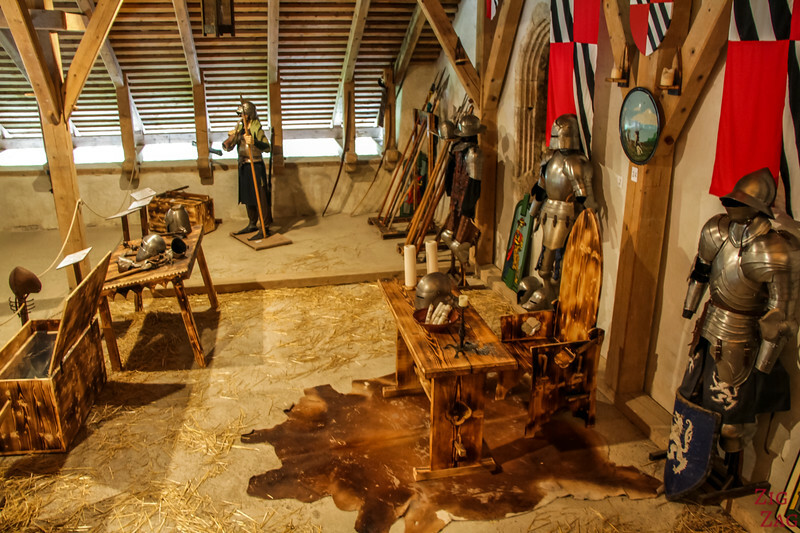 The most interesting rooms were, in my opinion, the Knight chamber and the armoury. 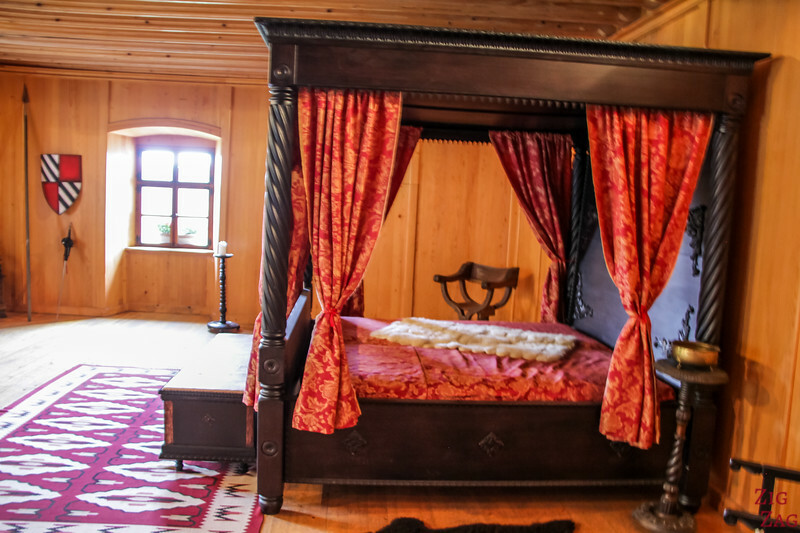 The Knight's room is located in the living quarters and was primarily used by the males. It includes a hidden corner where valuables were kept. The armoury used to serve as the home of the guards. 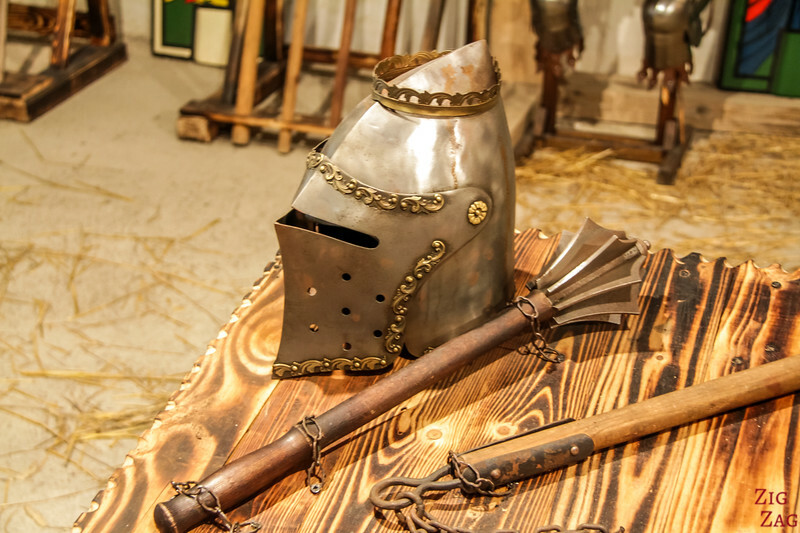 You can see there a large displays of replica of armours and weapons. Those required strength and skills. 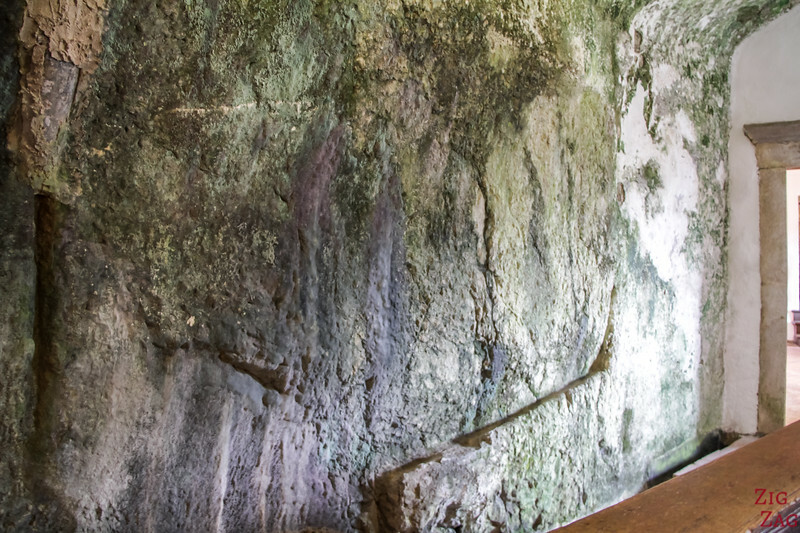 You can also climb a steep staircase through a rock tunnel to one of the protection natural windows where guards could surveil and protect against intruders. 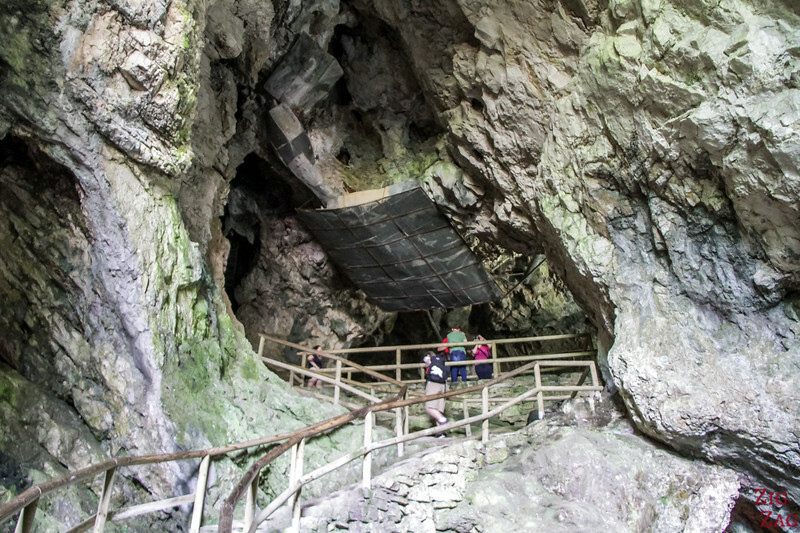 Predjama has a network of cave passages that is 14km long with different species of bats. 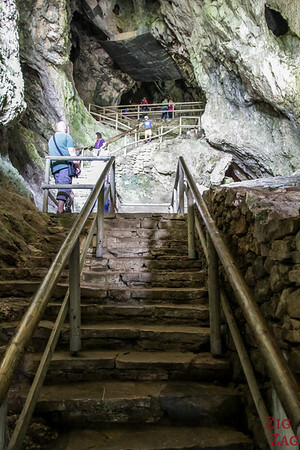 Access to the cave below requires to book a special tour with equipment and all. And it is accessible only in summer because bats need to be left hibernating in Winter. But during the visit of the castle, you can enter the cave behind. Below is the entrance - mysterious isn't it? 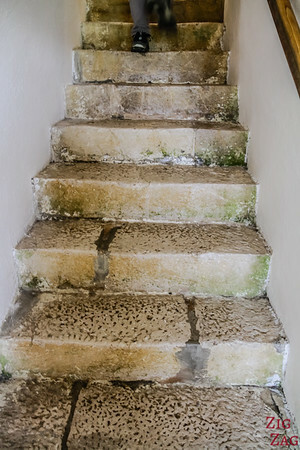 Then you climb stairs to reach a platform. No stalactites or stalagmites here, but an impressive hole in the cliff behind the castle! 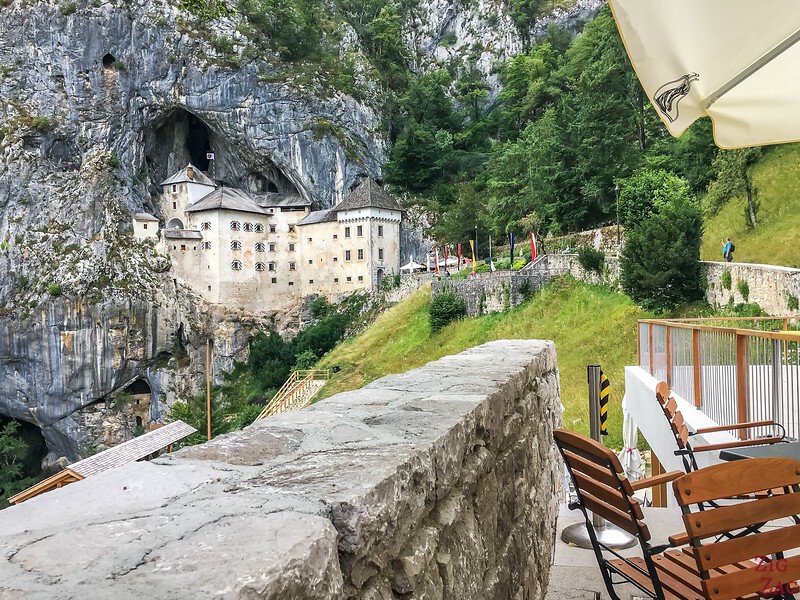 There is a good choice of accommodations close to the Postojna caves, which I recommend in order to visit the caves first thing in the morning before all the busses arrive. Isn't is one of the most unique castles you have seen? Is it okay to purchase a ticket to the castle after we arrive on May 5th? We would be arriving a little past 10 a.m. We will be a party of three adults. Any problem with sell out crowds? The castle is more fluid than the caves. So I think it should be OK.